#1- “The Weekend Winner.” This past weekend the #1 spot in the box office was up for grabs and even though there were four wide new releases in theaters NONE of them claimed top honors. 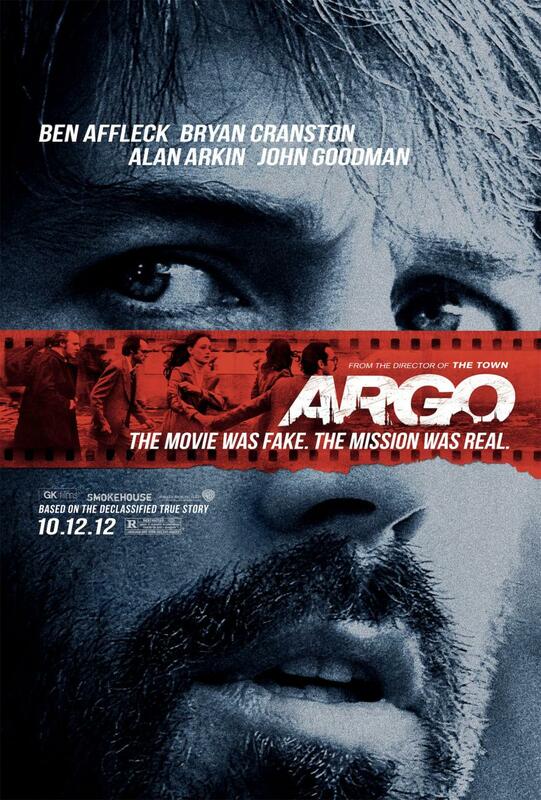 That, instead, went to the highly deserving Ben Affleck film entitled Argo (read my review). Additionally, this week, Looper (read my review), which ended in spot #14, finally doubled its budget in its 5th week and crossed the $60M total gross mark. #2- “Double-Oh-Seven Double Feature.” With Skyfall releasing in the US on November 9th, Bond fans are anxiously awaiting a sequel starring Daniel Craig that is expected to be far better than the last. 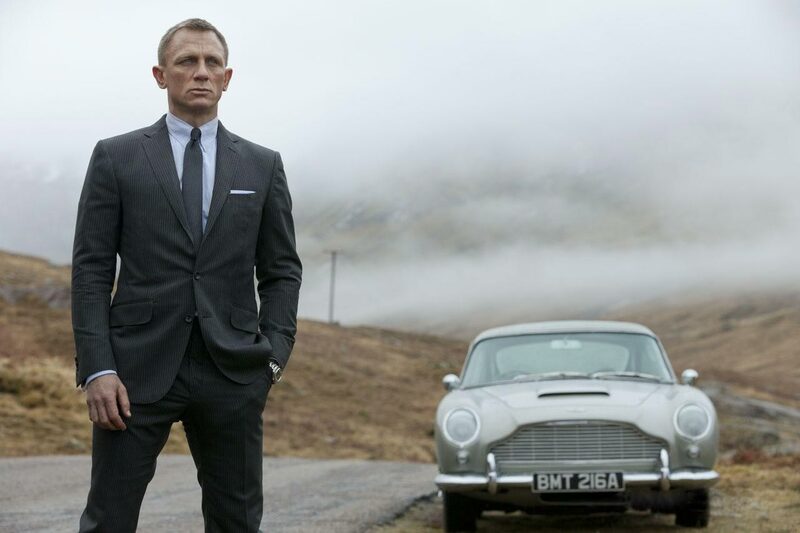 The 23rd Bond is sure to be a hit as it already opened internationally with a $77.7 million debut! Can’t wait for these next few days to hurry by! Daniel Craig has signed on to star as the “Blond Bond” two more times (bringing his total to five films as Agent 007). Interestingly enough, there is already speculation about who should play Bond after Craig with reports ranging from Idris Elba test screening to Craig himself naming his preferred successor. Craig still has two more runs as Bond at least and it has been announced that John Logan who wrote Skyfall will also be returning to the franchise to write the next two screenplays for the Ian Fleming character. As a matter of fact, he has already begun putting pen to paper! Did you know that 2008’s Quantum of Solace was the first of all the Bond movies to actually be linked to a story of a previous one? And, while it doesn’t appear yet that Skyfall links to Quantum of Solace (thankfully, might I add), the 24th and 25th films are reportedly expected to link to one another. Logan is writing both screenplays simultaneously and I, for one, can’t wait to see what he has in store. I hope that Sam Mendes returns to direct them. Skyfall releases in theaters on November 9, 2012. For those of you who would like to check out a review for the film, Scott over at FrontRoomCinema.com has just posted his thoughts after viewing it. Read his review HERE. Are you ready for more Bond as written by John Logan? #3- “Sandler to Saddle Up” Adam Sandler is continuing his work in comedy even after his less than stellar reception in 2011 which earned him the record for the most amount of Razzie Awards in a year. After the more recent success of the animated feature Hotel Transylvania, Sandler continues to ride on undaunted. After movies such as Jack&Jill and That’s My Boy which both BOMBED at the box office, I’m not overly sold just yet on a live action comedy from the Happy Madison Productions company. It all depends on how well Grown Ups 2 does which is slated to hit theaters in summer 2013. I was a fan of the first and laughed quite a bit. 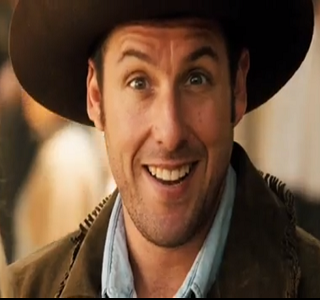 Please, Sandler, “Cowboy Up” and deliver. Any thoughts on Adam Sandler’s upcoming projects? 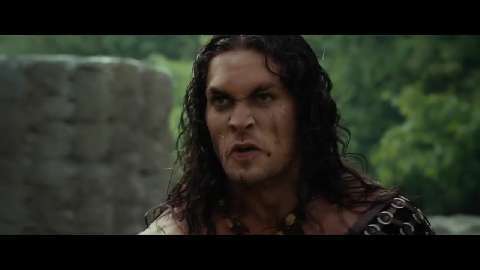 #4- “The Barbarian is ‘BACK’.” Remember how GREAT the reboot of Conan the Barbarian starring Jason Momoa that released in 2011 was? Hmm? anyone? (sarcasm alert)! Well, Conan will return to the big screen in the near future, only it will have NOTHING to do with the underwhelming 2011 film and will actually return to some of the Barbarian’s film roots by bringing back Arnold Schwarzenegger to the franchise! It’s fun to see Schwarzenegger get so many roles in his post-political career. Prior to Conan, look for Arnold to star as a sheriff in The Last Stand, a prisoner in The Tomb (with Stallone), and a hardened DEA elite member in a film entitled Ten (Click HERE for a photo). What do you think about Conan’s “Schwarzeriffic” return? I don’t know what exactly to expect from it, but with a 94% rating on Rotten Tomatoes and a favorably scored review from my friend Nostra at MyFilmViews.com, I expect to enjoy it quite a bit. 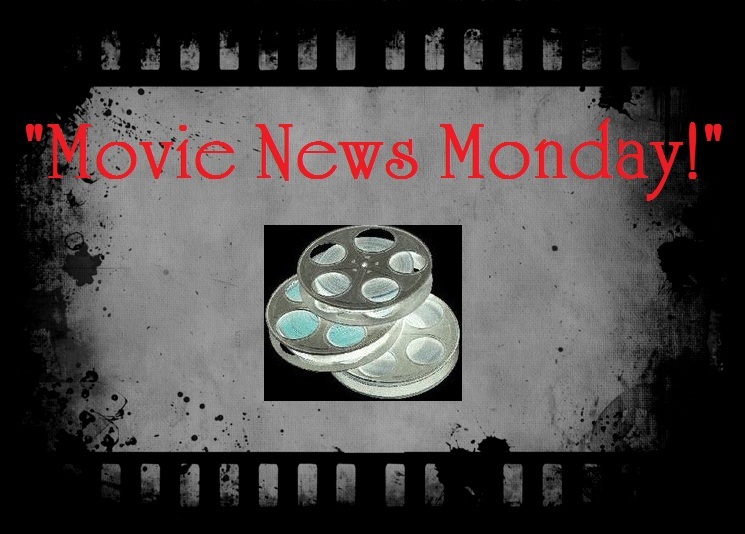 Also releasing: The Campaign, Ruby Sparks, Craigslist Joe and more. Final Word: Be SURE to check out the newly relaunched site THE SOAP BOX OFFICE as creator/editor (and my friend) Brian has updated his page and shares tons of great content including reviews, trailers, news and more. Congrats, Brian on the new site. It looks GREAT. Check it out HERE. I’m kinda sad for my boy Gerry Butler that his movie bombed big time. I guess surfer flicks are really a tough sell, but I enjoyed it, not just for GB but for the great cinematography. It could’ve been overly sentimental but it wasn’t. yeah, GB’s film didn’t do so hot, but I didn’t really expect it to either. Thanks for the roundup, T! I’m so far behind on everything, MNM is a big help to me. I’m glad Argo is making some money. Cannot wait for Skyfall. I really appreciated that comment Paula. Thank you. Interesting news about ‘Argo’ and ‘Skyfall’. 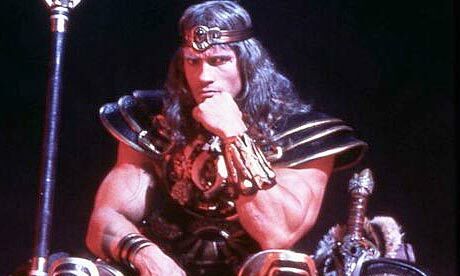 Still pondering when Holllywood will learn to leave well enough alone in regards to the ‘Conan’ franchise. Which never should have been a franchise in the first place! Adam Sandler should stop getting in front of the camera in what he thinks are comedic roles. Maybe try drama. Or just get into investing some of his own money producing products that are better than his own. Well, I’m hoping that Conan ends up so much better. I think it will, but time will tell. but I know what you mean. Hollywood seems to enjoy ruining good films with unnecessary franchising. meh. Thanks for the kind linkage T!!! It’s a great film however, but people aren’t certain about going to see it with the back and forth reception it’s been getting. Go support it. it will come soon. I plan on reviewing it. Can’t wait. 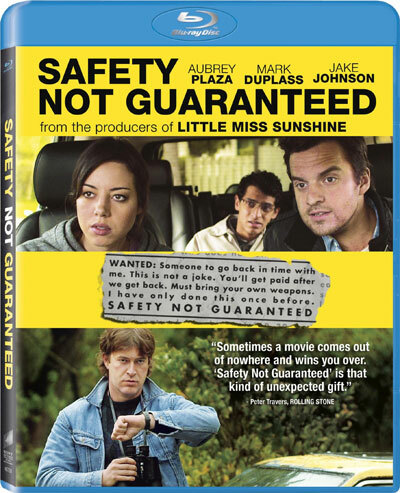 Sweet, cant wait to rent Safety Not Guaranteed. It should be a good one!